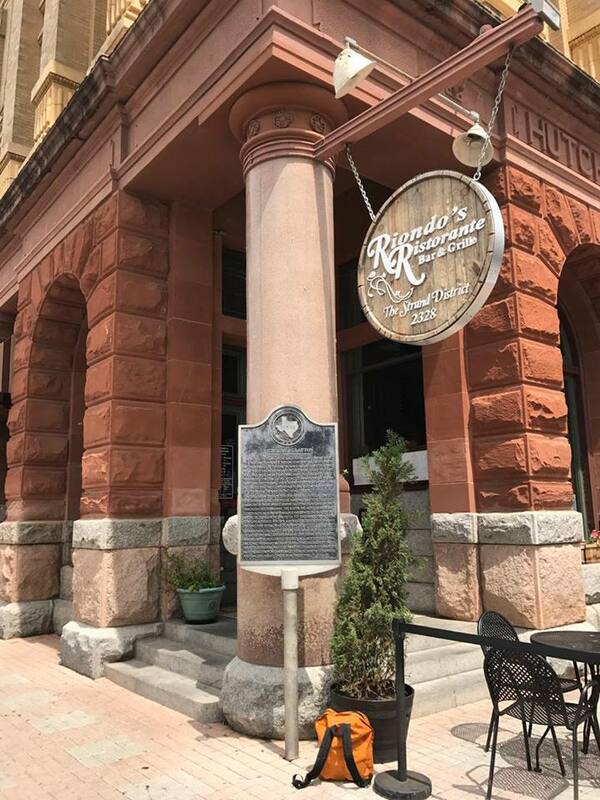 At the Texas Historical Commission, we’re extremely grateful to the thousands of volunteers across the state who work to preserve Texas’ rich history and heritage. Many are individuals whose behind-the-scenes efforts go mostly unnoticed. 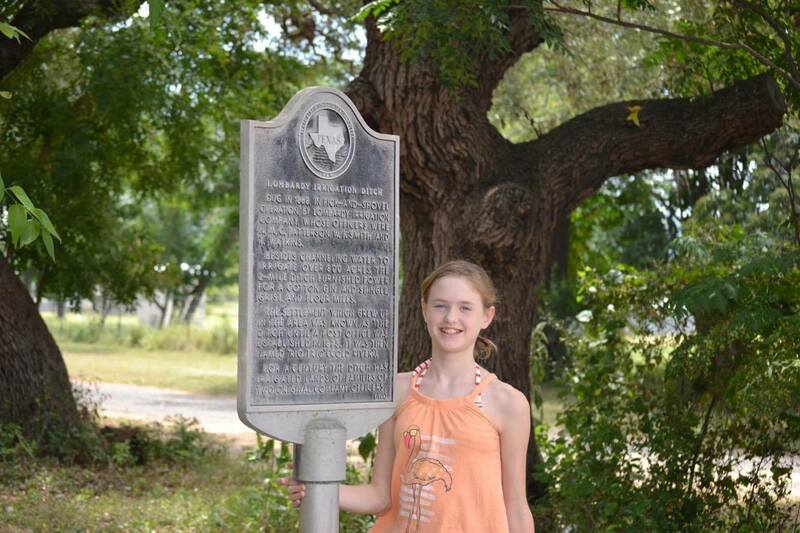 Here’s one example: Meet the Taylors, a family from Houston who refinish historical markers. 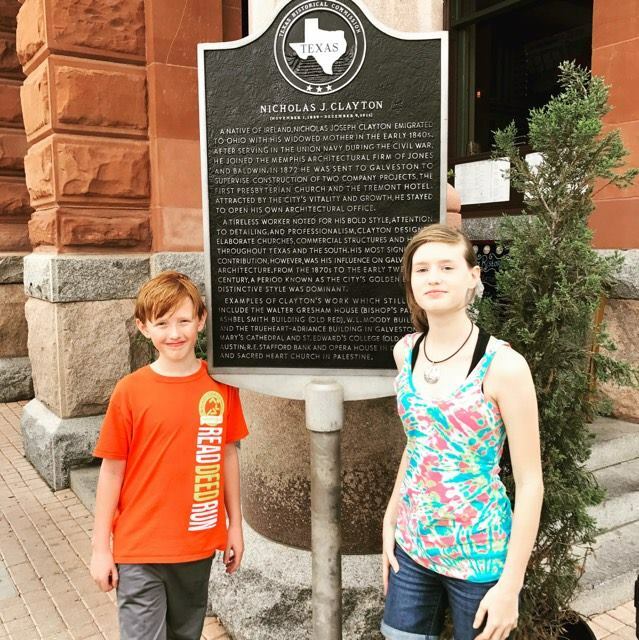 In the Q&A below, Avery (13), Finn (11), and dad Matt talk about how they got started refinishing markers and why it is an important endeavor. Unless otherwise noted, answers are by Matt. What inspired you to refinish your first marker? It was a news story about a man who drove around and refinished markers on long drives. If he saw one that needed doing, he’d stop and clean it. I learned then that anyone could clean them and how easy it was. What kind of prep work did you do before refinishing your first marker? Usually I just check to make sure I have enough paint. 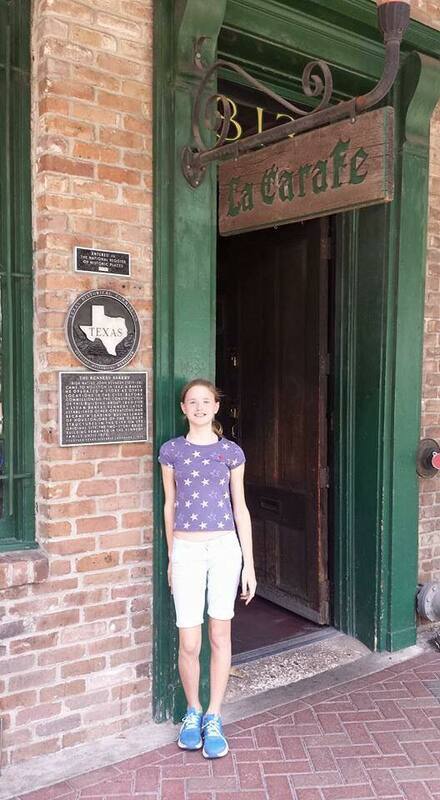 I also go back over the Texas Historical Commission’s supplies list (I keep a print out in my supplies backpack). Also, having some cold water and a snack doesn’t hurt. Is this an affordable hobby? It is extremely affordable. Most of the supplies I already had laying around the garage. You’ll simply need to buy a couple more cans of spray paint here and there. 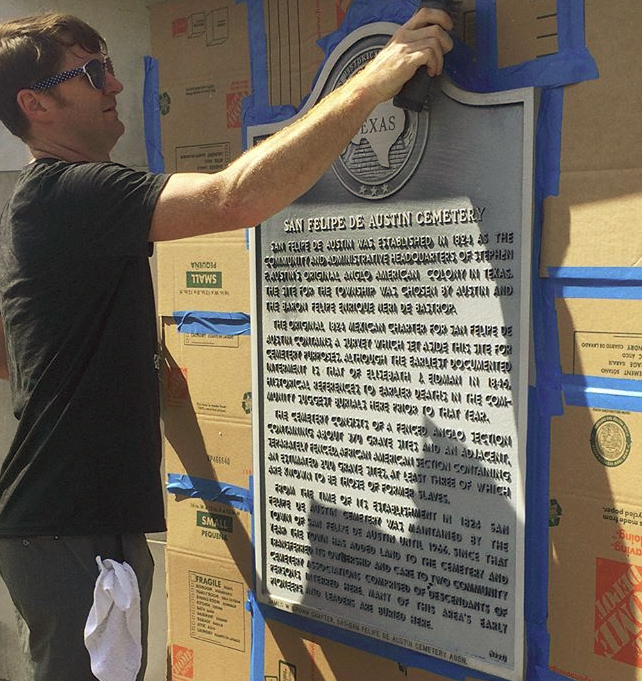 How many historical markers have you refinished? Where are they located? To date, our family has refinished 10 markers, and their locations are a bit scattered. There are a few in Houston, Rio Frio, Concan, Galveston, and San Felipe de Austin. What has been your favorite marker to refinish to date? 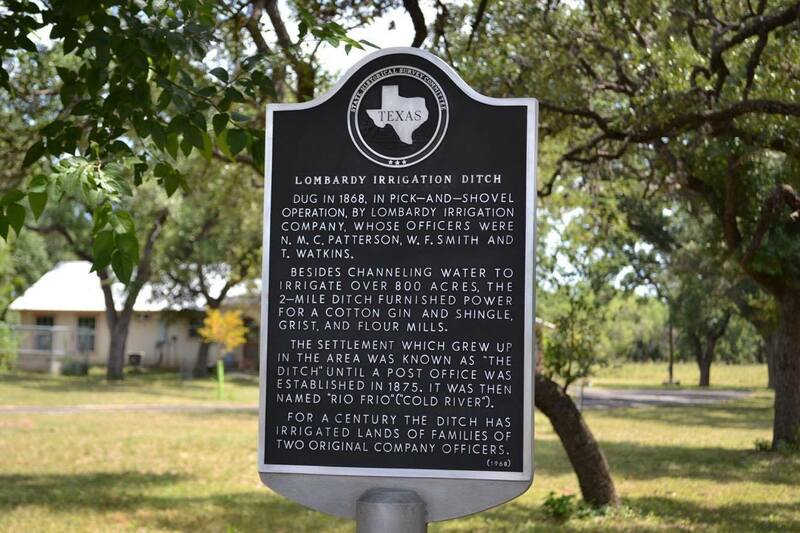 We all agreed it was the Lombardy Ditch marker in Rio Frio. The actual ditch runs through the backyard of a family house on the Frio River. 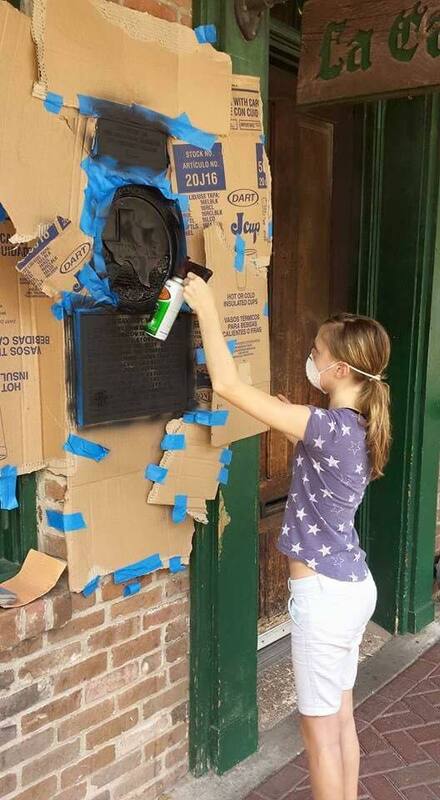 Our entire family has owned the house since the late 1960s, and to refinish a marker that is related to that property was personally rewarding. How do you find and choose markers to refinish? There’s never really a plan. We will simply see one in disrepair and agree to fix it up. Some are located in places we frequent a lot and others have been ones that really needed the help. 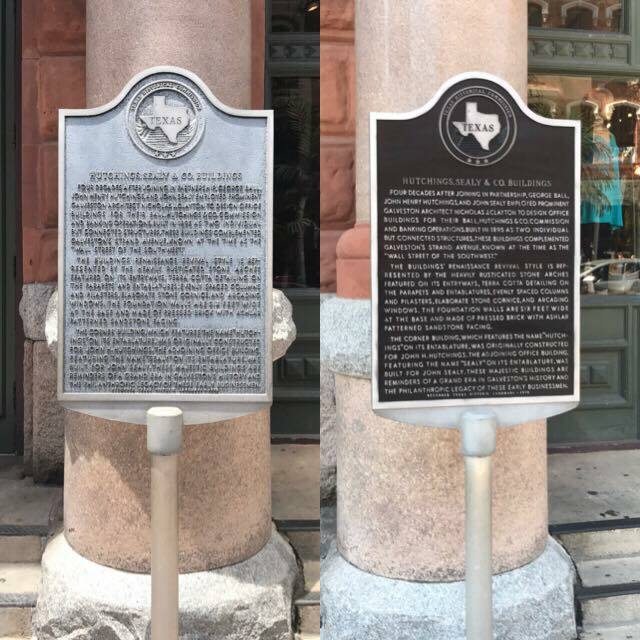 Why are historical markers worth refinishing? “Because people should know about what happened at certain places,” says Finn. 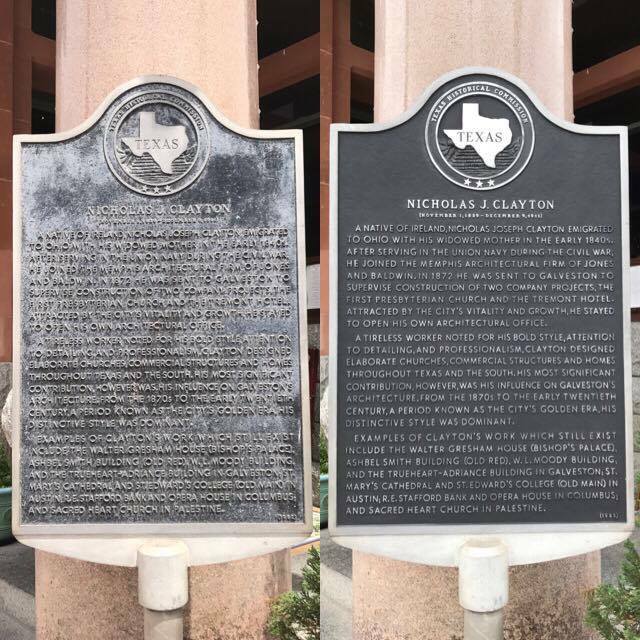 Each marker tells a story, and it’s the story of Texas. To make a marker look attractive is to make someone interested in reading it. 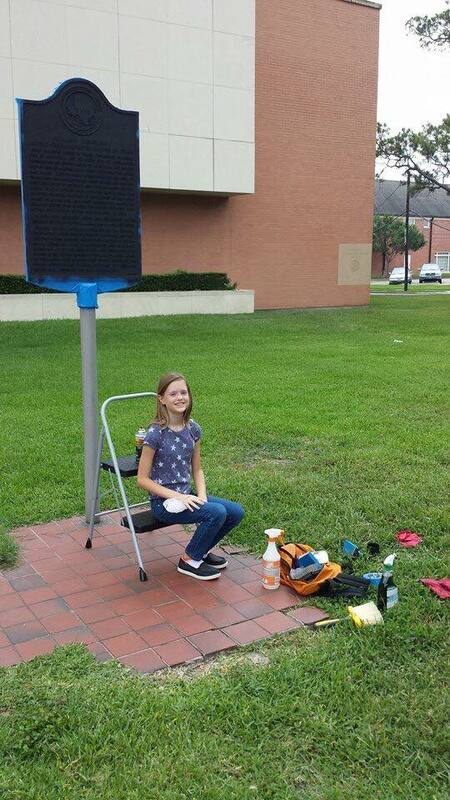 Once at the marker at La Carafe in Houston, we had just completed refinishing it when we saw three groups of people within the span of 10 minutes stop and read it. As we promote progress in life, we should also help preserve our history. Are you [the kids] going to continue refinishing markers when you leave home, go to college, or start families of your own? Do you have any tips or tricks for anyone who may be considering refinishing markers for the first time? Aside from having the correct supplies, I’d also recommend a small power sander. I keep a converter in my car and use that to power the sander. It makes the sanding job so much easier. Also, make sure you can easily reach the top of the marker. If not, you might need to bring along a step ladder. Lastly, get ready to engage with the public. They love to ask what you’re doing. 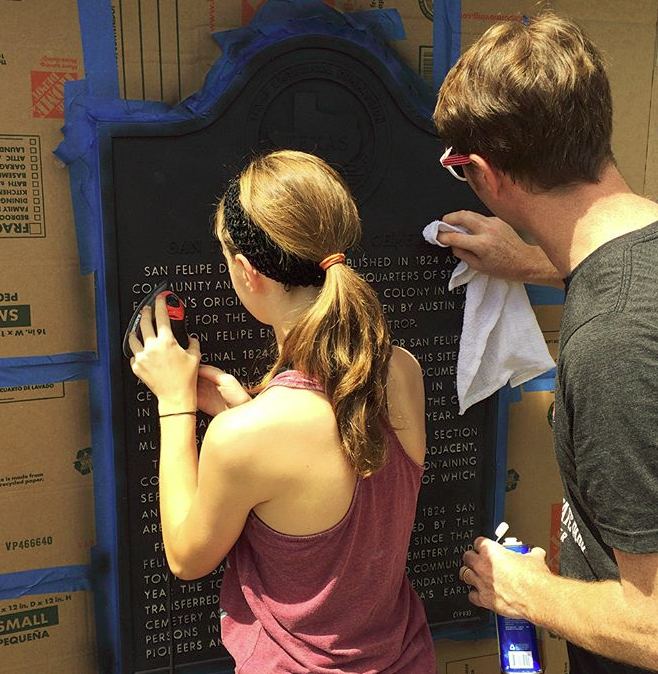 How do you benefit from refinishing historical markers? 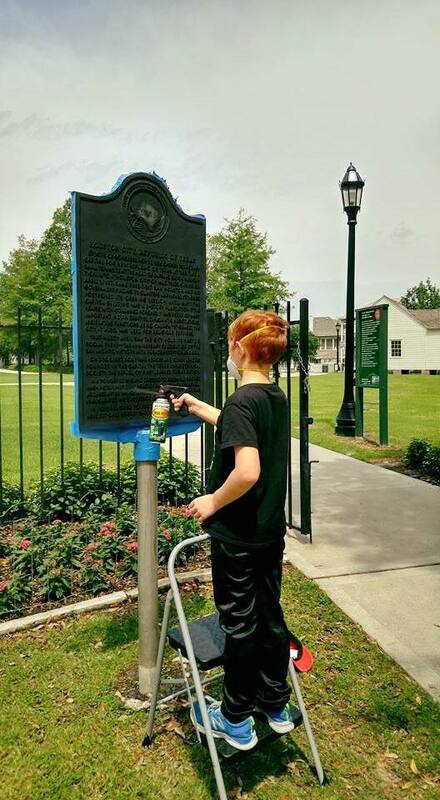 Finn Taylor refinishing a historical marker. What a great ideal, Thanks for doing it also.